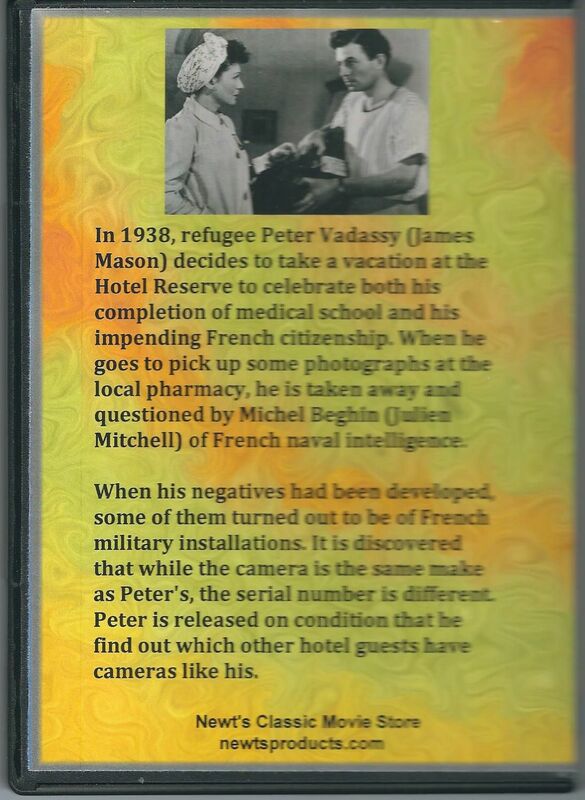 In 1938, refugee Peter Vadassy (James Mason) decides to take a vacation at the Hotel Reserve to celebrate both his completion of medical school and his impending French citizenship. 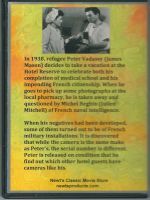 When he goes to pick up some photographs at the local pharmacy, he is taken away and questioned by Michel Beghin (Julien Mitchell) of French naval intelligence. When his negatives had been developed, some of them turned out to be of French military installations. It is discovered that while the camera is the same make as Peter's, the serial number is different. Peter is released on condition that he find out which other hotel guests have cameras like his. 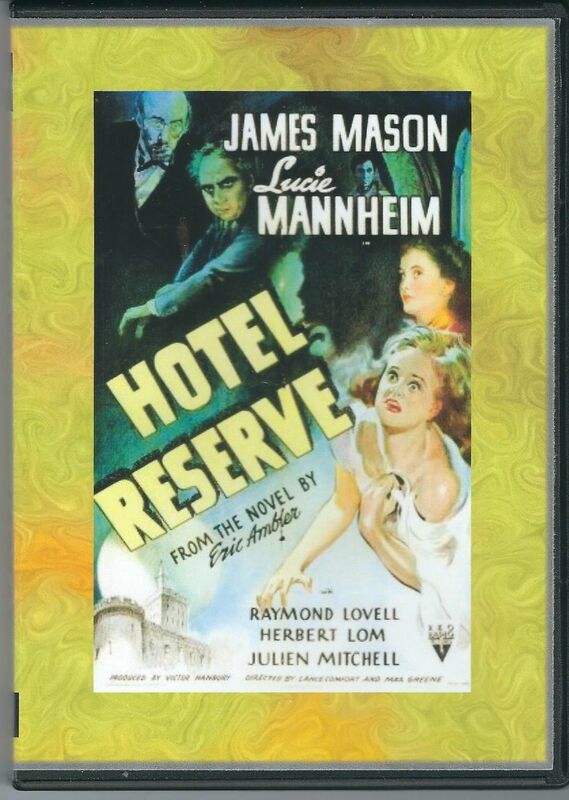 Peter does some snooping and eavesdrops on a suspicious conversation between Paul Heimberger (Frederick Valk) and the hotel's proprietor, Madame Suzanne Koch (Lucie Mannheim). He searches Heimberger's room and finds several passports, all with different names and nationalities. Heimberger catches him in the act, but eventually matters are straightened out. Heimberger explains that he was originally a Social Democratic newspaper publisher who was anti-Nazi and been sent to a concentration camp for two years. After he was released, he joined an underground movement against the German regime. Peter spots his camera in the pocket of a dressing-gown belonging to Odette Roux (Patricia Medina) and Andre (Herbert Lom), a couple on their honeymoon. Andre first tries to bribe Peter into giving him the negative and, when that fails, threatens him with a pistol. The police arrive at that moment and arrest Peter for espionage. The Rouxs leave the hotel, but find Heimberger trying to disable the hotel's car. Andre shoots him dead and the couple speed off to Toulon, unaware that they are being tracked by the police. Beghin had known the identity of the spies all along and merely used Peter to further his true goal; to find out who the Rouxs are reporting to. The spy ring is captured. Andre gets away, but is caught on a roof by Peter. Andre slips and falls to his death.